Stress is harmful in every aspect of life. Although there are good forms of stress, such as pressure to do better, majority of what we experience is negative. The most common reasons people experience stress is due to financial difficulty, relationship problems (friendships, dating, marriage), school, failure, and change. Since stress will always be present, I am providing you with a list to eliminate it. Here are the one’s I’ve personally found most effective. This may sound weird but it’s true. Taking at least four deep breaths (best done with your eyes closed) helps to quiet and relax the mind. After doing this you should be able to concentrate better and feel a sense of relaxation. We tend to overwork our bodies past its limitations. Taking at least a five-minute break allows your body to regain its composure. During this break, try to forget previous thoughts and attempt to concentrate on more peaceful ones. 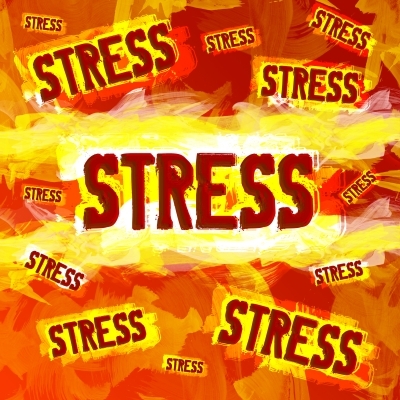 The body gives off stress signals as you become stressed out. These signals may include muscle tension (often in the back and neck), beginnings of a headache, or becoming frustrated. When this occurs, stop immediately. Recognize that your body is under stress and do something about it. How many times have you caught yourself being stressed out over something unimportant? Before you begin allowing yourself to become stressed ask yourself, “Is it worth it?” Chances are it isn’t. In this case, let go and move on. Focus on what is necessary. Try to think of what causes you stress. Once you have either a mental or paper list together find a solution. Remember that every problem can be solved. After you have composed several ways to eliminate or reduce the stress caused by these situations, remember them. Then try to put those solutions into action. The best medicine for any situation is always laughter. Researchers still aren’t sure how it alleviates stress and depression, yet it does. I believe it is because Proverbs 15:13, 30 says: A happy heart makes the face cheerful, but heartache crushes the spirit. A cheerful look brings joy to the heart, and good news gives health to the bones. I have to admit that I am a little biased on this one. Having faith in God helps individuals deal with stress. After all, Christ did give us peace. However, even without my opinion, spirituality and meditation has been a way individuals across the globe for centuries have dealt with life issues. Doing good for others such as volunteer work has also been proven by research as beneficial. It takes the concentration off of our problems and focuses it on the joy in helping others. If you have the option, change the environment you are in. Step outside, leave the room, or even change the area of the room you are in. This helps to give you a different perspective. Leaving your environment can also mean leaving the place where the stress is most prominent. Believe it or not, writing and various forms of art are used as personal therapy. You don’t have to necessarily write “Dear diary” but writing a story, your thoughts, or even writing about what’s happening in the area you are in can help. It is a sense of release and many artistic people such as musicians, artist, and writers find that this is a positive way to rid them of stress. Best part about it: this therapy is free! Perhaps I missed something or I didn’t elaborate enough on a specific area. Let me know what you do to eliminate stress. Which one of these ways works best for you?